I love this time of year because I am able to get rid of a ton of stuff that no longer works for me or is going to take me further on my journey. What about you? 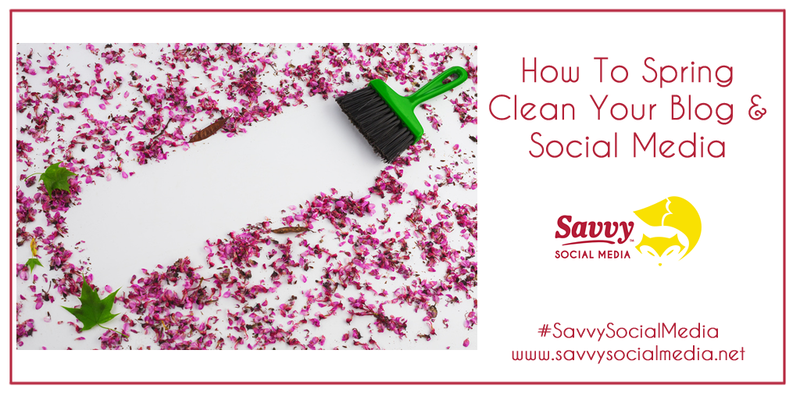 When it comes to spring cleaning, typically we think about our house, but why not our blog and social media? Make sure your branding is consistent throughout — images, fonts, colors, headshots, logo, etc. In my next blog post, I am going to talk about how to verify your Facebook business page. Until then, Keep Calm & Love Social Media! Originally published at Savvy Social Media with Michelle Arbore. CEO & Award Winning Social Media Coach & Speaker of Savvy Social Media. Help small businesses and entrepreneurs get a presence on social media.